Our amazing reporters in Los Angeles managed to play a triple screen version of Forza Motorsport 6 last night. So enjoy this first very nice looking 1080p 60 fps, to be followed by a second one. Why even demo this? No way it could be done on Xbox One. I get the immersion factor, but people don't really think they'll be able to do this do they? 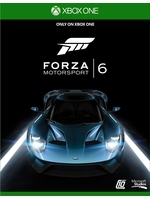 If we get Forza 5 on PC, maybe. Doesn't FM4 do this on 360? You need multiple Xboxes. It was even possible one the first Forza on the Original Xbox, in a hidden menu. It was pretty tough, but I liked the G920 (second video). I was curious how much Console Master Race(ing) setup would cost... It's insane, you will be better with custom PC. It's not worth at all. 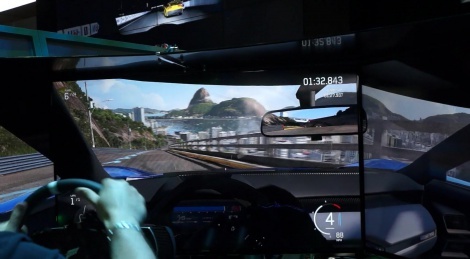 No, it's actually possible, GT5 and GT6 both support triple screen, with 3 PS3s rendering one display each, connected with each other through LAN. So, Forza 6 may do the same thing, it's no big deal. Anyone still claiming Forza to be simcade only clearly hasn't played it with a driving wheel and assists turned off yet. And it doesn't matter if you could build a better custom PC with triple monitor setup for the same money, you still won't be playing it there. Not that PCars wasn't a good alternative, but it's just not as good as Forza imo. As if Project Cars is the only racing sim on PC. Come on.. this is incredibly frivolous. Sure.. you wouldn't play Forza on the PC.. but you could play a lot of other games! That's not a dig on Forza. It's just incredibly limited considering the expense. I agree there are a lot of niche(and good) racing games on PC. But no PC racing/car game has the same scale as Forza or GT. Sure there are mods but there are no games with hundreds of different cars with endless upgrades/tunes possibilites. Project Cars and Forza/GT are different games with different goals, in my opinion. While all have sim-like physics, PCars is much more focused on pure racing while the other two are great car games where the approach to the audience is much wider. Yeah, there's nothing on PC that compares to GT and Forza in terms of content and polish combined. If you want to find the best in Rally, GT, arcade, etc, you'll probably find it on PC - but again, not one game on PC brings it all together. I've probably played most racing games worth playing on any platform, but if I could only have one for 6 months, I'd pick Forza every time. It's just a better *game*. It's $1200 worth of kit that can run one game ever... that's pretty wild.